I had an amazing "road trip" with the women at Hope Church in Memphis, TN last weekend. 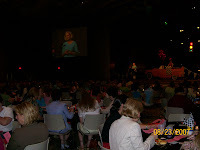 My dear friend and mentor, MaryAnn, invited me to speak at their women's ministry kick-off dinner. She has an incredible team and they did a great job creating a fun and inviting event for over 400 women in their church and community! There were women from every season of life and from many different places along the road of faith. The theme was "Road Trip" - taking the journey of a lifetime! I shared about my journey, which includes many years of following the world's map and getting lost along the way. It was so encouraging afterward to meet new friends and hear stories from women who have traveled such similar paths. I ran from God's calling to share my story for 10 years, but one thing He is faithful to show me at every event, is that I am not alone in my struggles and this road trip is so much better when we traveling with good girlfriends! 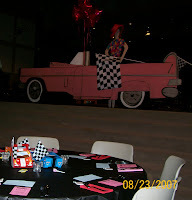 Don't you just love how they decorated for our "road trip" and what about that car? A funny thing happened as I was putting down my Bible to pray at the end of my message. I knocked the car over!! It is huge and it made a loud noise! We all laughed. Good thing I was done or I would have needed to call for some road-side assistance ! I am learning some amazing truths about asking Jesus to live His life through me each day. I am still trying to understand what that means and what it looks like each day. I have a long way to go but it's been an adventure. All last week I tried to seek His direction each day to do what was in on His heart and depend on His energy that works so powerfully within me, if I let it. Last week I had a doozy of a "to do" list. Each morning I prayed, "Jesus, what do you want to do on our list today? Where do you want to go?" Then I would listen in my heart for Him to lead me. The biggest thing I noticed was when I sensed Him telling me to stop what I was doing and move to something. That happened a few times. The first time was right after my last entry. I had planned to stay up late but I sensed He wanted me to go to bed, unprepared for my recording. Tuesday I got into the studio and we started working on cutting the previous audio we needed to work with. It was the first step in the project but it took an hour and a half. We ran out of time, and I didn't do my recording. I didn't need to stay up the night before, and God knew it. I would have been so tired if I had stayed up and so frustrated that it wasn't necessary. My list was also full of fun things I had promised to do with my kids since it is getting close to summer's end... like taking them to the movies, taking them out to lunch and a playground with friends and taking them to Chuck E. Cheese for three hours one evening. I took my laptop with me on that outing so I could finish some work projects for P31, while they played. I got lots done and my kids had a blast! I also had a few home improvement projects on my list. Family was coming in town last weekend so I wanted to finish painting Joshua's room since that is where our guest sleep. I had been saying I was going to do that for a year. His room had a sport's border with navy blue paint on the bottom half and beige on the top. Not bad if it weren't for the camouflage bedspread with a black bed skirt he got last Christmas. Also, his dresser is from JJ's childhood and was pealing and had stickers on it. It was awful to look at and I couldn't stand the thought of one more guest staying in there. So, I stripped the border, primed the walls and prepared the room so a friend of mine could paint it (she has a painting business). We carried his dresser downstairs so I could take it outside sometime during the week to paint it. By Wednesday night, it was still sitting in my kitchen, done, so I got my supplies ready and put my painting clothes on. Then I noticed it was 7:45pm. It was getting late but I wanted to at least get started. Joshua has been living with his clothes in baskets for days since he doesn't have a dresser to use. I thought. Then I sensed the Holy Spirit whisper, "It's late Renee, you need to wind down and wait on this one." Hesitantly I listened. I went upstairs and got my pajamas on and had a relaxing night with my family. By Friday, I still had the energy I needed to do the tasks God had for me that day. But I wouldn't have, if I hadn't listened. I would have stayed up late and I would have been exhausted! The house still needed to be cleaned, towels needed to be washed and sheets needed to be changed. Together our family got it all done and I wasn't all wound up when our guests arrived. I was able to relax and enjoy our time together. In the end, Joshua's room was painted and put back together for our guest. There was no dresser in there but they didn't care. My kids had a great week and I felt like a good mom! I am truly amazed as I look at last week's list and see all of it crossed off. As I depended on God's strength each day, He gave me hope for each tomorrow. And I continue to hold on to these truths this week. 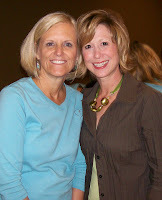 I leave for Tennessee tomorrow morning to speak at my dear friend Mary Ann's women's ministry kick-off dinner. Just today as I leaned on Jesus for strength and energy to prepare, travel and speak, He reminded me that her church's name is Hope Church. Thank you Lord for your sweet presence and faithful promises to me. Life has been very full!! Isn't it always like that in the summer? Or maybe throughout the year? I am so ready to write the rest of our love story, but we've been traveling (we went to Hershey, PA last week) and I've been working on the design and grand opening of HeBrews Faith Cafe! Well, things don't look like they are going to slow down for a little while. I have the craziest week ahead of me. This morning I woke up acknowledging to myself and God that I was going to need a whole lot of His strength and perspective to accomplish it all. After everyone left for their pre-determined destinations (kids to my mom's, JJ to work), I sat at the kitchen table with my Bible, my journal and my coffee and asked God to speak to me through His Word, to fill me, to lead me, to give me strength to just get started. I felt so groggy! I turned to the book of Colossians because it's the home of one of my favorite verses - Colossians 1:17 - He is before all things and in Him all things hold together. I put Him at the helm of my day, knowing He was the only One Who could hold it all together. And then I kept reading. In chapter one, verses 25-29, Paul reminded me that I am a servant of Christ - on commission by God to present the word of God in it's fullness to anyone I come in contact with. So, in whatever I do today or tomorrow, His goal is to reveal Christ in me - "the hope of glory." It made me realize that whether I get it all done or not, if I seek to let "Christ in me" live out loud through my life; if I keep my heart set on reflecting His heart in all that I do, that is all that will matter at the end of this day, or the end of this week. So I began my day repeating the words of Paul, "to this end I labor, struggling with all HIS energy which so powerfully works in me!" I kept those verses before me all day. And when I got tired or distracted and didn't know what to focus on next, I read them again and claimed HIS energy to powerfully work in me. I am going to keep seeking His glory in me to be revealed - even if my family is all going to bed. No one will see Him in me, but I'll know He's there. It's here.... "God's Purpose for Every Woman: A P31 Woman's Devotional." Our readers asked for it and God provided!!! Written by over fifteen of our P31 writers and speakers, including me, these devotions were specially selected to empower women to follow God with all of their hearts in the everyday life! You will read about real life stories from these authors and what they learned about God and His ways. But it doesn't stop there. These devotions also come with a prayer and application steps so that you can apply God's principles to your life as well. 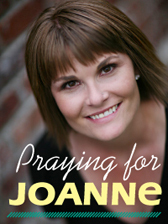 This devotional book will not only bless your life, it will change it! Click here to order a copy now for you and your best friend! It will make the perfect gift for birthdays, mother's day and Christmas!!! Also, the sale of this book will help us to fund our on-going free daily e-mail devotions to over 170,000 women across the world each day! Okay, I didn't just say "No....", but that was fun to leave you hanging. I think I might start writing suspense! One of the reasons I am writing our story in segments and drawing it out is because my 12-year old son, Joshua, is enjoying reading it. He comes to me at night and asks if I've written any more. When he reads it, he smiles REAL big and then gives me a huge hug. I had no idea he'd be so interested and I am loving it. The other reason is because I cherish looking back and seeing God write our love story. I don't want to hurry through it and I hope you'll keep joining me for each chapter. (Note: If you want to start this story from the beginning, go to "I'm Married to My Best Friend." During our first date, we decided on the two-year, long-distance plan. JJ asked if he could kiss me and I said, "No.... I don't think I can handle you kissing me and then leaving me." He looked into my eyes, gave me a big hug and then planted the sloppiest and sweetest kiss ever on my lips! I knew I would be ruined at that moment. I should have said "You just shortened our dating life-span, I cannot live without your for two years!!!" But I didn't. I stayed another hour and we hugged good-bye forever because we didn't know when we'd see each other again. He was headed home to Hershey, PA for Christmas break and then back to Virginia Tech for his next semester of classes. It was a really long semester! We saw each other once or twice a month. We talked a few times each week. I had graduated from college three years prior and was a recruiter for a telecommunications company so I traveled to various colleges. I somehow convinced my boss that we needed to expand our recruiting efforts across state lines and look at VA Tech grads. That got me one or two extra visits! Funny thing is I did hire a very successful graduate from there. God blessed my creative recruiting and romance efforts. Every time we talked or saw each other I fell deeper in love with JJ. We always laughed and talked about what God was doing in our lives. We shared our struggles and our stories. But that just made it harder to leave again. By the end of the semester I was ready to call it quits. I just couldn't handle loving someone so much but being so far apart. It was really hard on both of us and I thought it would be best if we reverted back to being friends. I felt like drawing a line in the sand so my heart could rewind my emotions. I shared my thoughts with JJ and he said he was praying about where God wanted us to go with our relationship. JJ had a co-op job in Greenville, NC that summer which meant we got to see each other every weekend so that was better! One Sunday afternoon in June we met in a parking lot to say good-bye after I finished spending the day at a bridal shower for a friend. We were sitting there talking and all of the sudden he asked me to marry him! I was completely shocked. I sat there speechless. At the same time, I wondered if I had a neon sign on my forehead so he could read my thoughts because he started addressing all of my unspoken fears. Without me saying anything, he said, "I really mean this. I am not going to change my mind. I have been praying about this for a long time. I know this is what God wants. You can take all the time you need to decide and I will still be waiting for you to say yes." I had been hurt so deeply in the past that I was paralyzed by the fear of broken promises and the sting of betrayal and rejection. I didn't say no, but I couldn't say yes. I needed time and he gave it to me.